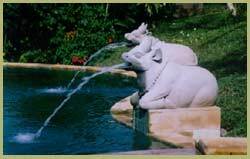 Welcome to Wanakerta (The Beauty of luxurious villa) is the unique beauty of luxurious Villas, experience and services good for short and long term accommodation. 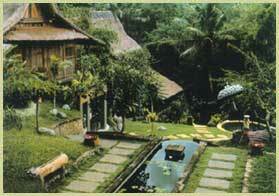 Wanakerta is located only a few minutes from the art community of Ubud, in Central Bali. The villa is set on the very edge of the WOS River, with the village of Singakerta adjacent. 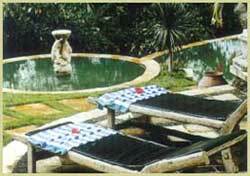 OurSwimming Pool with garden view at magnificent WOS river valley Ubud. Our mini bar located at pool side with garden view. Our arcade complcated with many collectioan handicraft from teakwood & Batik such as; Balinese Traditional Batik, Sarong, Cloth, Kebaya, Cousion, Sculpture, Furniture, Wood Craft, Mask, etc. 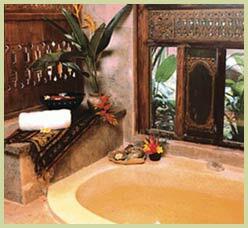 All individually controlled air-conditioned rooms, modern and traditional style villa, Hot and Cold Shower, Bath Tub, Private Kitchen, Mini Bar, IDD Telephone, Color TV, Room Service, Shuttle bus to Ubud area, Laundry and massage services. Modern and traditional style villa with Ceiling Fan, Hot and Cold Shower, Bath Tub, Private Bath Room, Private Kitchen, IDD Telephone, Color TV, Room Service, Shuttle Bus to Ubud Area. 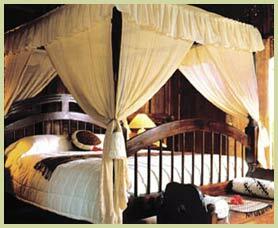 Especially RUMAH KAYU unique beauty villa open the window and garden view, Laundry and massage services.